The 10 ounce jar of the Dead Sea Salt Scrub is formulated with Dead Sea Minerals to exfoliate and refreshen your skin. Dead Sea Salt Scrub are very dry and absorb essential oils with ease, which enables them to be released upon use as they dissolve with water. 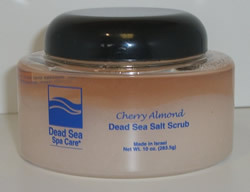 Dead Sea Spa Care uses Sweet Almond Oil, Vitamin E, Grape Seed Oil, Avocado Oil and Sesame Seed Oil mixed in with it's Dead Sea Salt Scrub to infuse the skin with much needed Dead Sea minerals and nutrients, while exfoliating the top layer of dead skin cells, revealing fresher, younger looking skin. The Dead Sea Spa Care Salt scrub will not only exfoliate and hydrate your skin, but will leave your skin with a youthful glow. 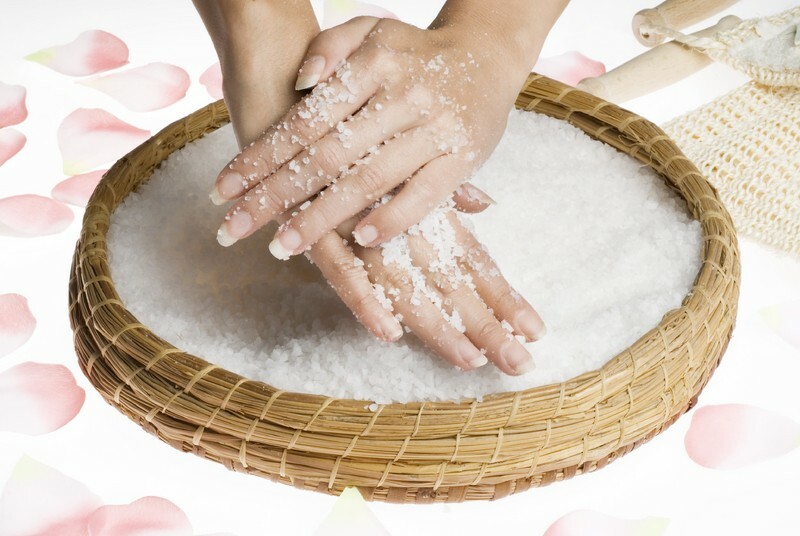 With a good, vigorous scrub, our salt scrub will help increase circulation throughout the body. Our Dead Sea Dry Salt Scrub, which are made in Israel come in a variety of scents. The Dead Sea Spa Care Dry Salt Scrub is made in Israel and is offered in a 10 oz jar. Apply the Dead Sea Salt Scrub all over your body, especially dry areas such as heels, elbows and feet. 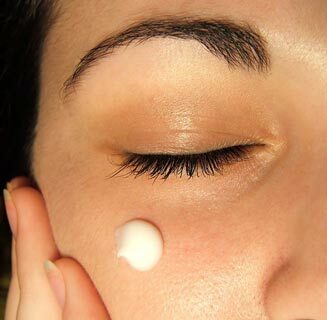 Gently massage into your skin, rinse and pat dry. The oil from the salt scrub will remain on your skin, leaving it smooth and moisturized. Rubbing your skin with the Dead Sea Dry Salt Scrub exfoliates and polishes the skin leaving it clean and refreshed. It will rub away any dead skin cells that have the effect of leaving your skin dull. The fine Dead Sea Dry Salt Scrub grains cleanse every pore allowing your skin to breathe easier, allowing skin to regenerate.